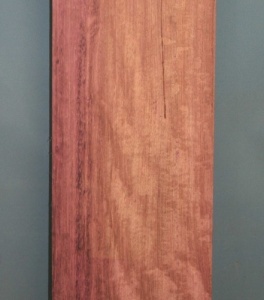 Purpleheart box maker's piece 1110 x 145 x 4mm re-sawn from kiln dried planking with a sanded finish. Dull brown when freshly cut quickly turning to an amazing deep purple on exposure. We buy selectively to ensure the most intense colouration.